I started roasting in 2005 on a little one and a half kilo roaster from Korea. It came with three main profiles, each which had a multitude of roast levels — about three or four, were actually useful. In addition, it could entirely manual as well. For me, it was about setting the profile to what I wanted, and controlling the beginning and the end of the roast. If the roaster did it’s job during the bulk of the roast, the results would be good. Great in fact. Now I might have skipped over the 40 to 60 pounds of charred, unusable, and just plain wrong batches that I slogged through. But it forced me to understand the balance between technology and craft, between science and art. You can poke your finger and it won’t hurt a bit, but that’s if you poke it with a marshmallow. Poke it with a pin, it might be a little uncomfortable, but you’ll draw blood. Understand the tool you are using, but more important, produce results. 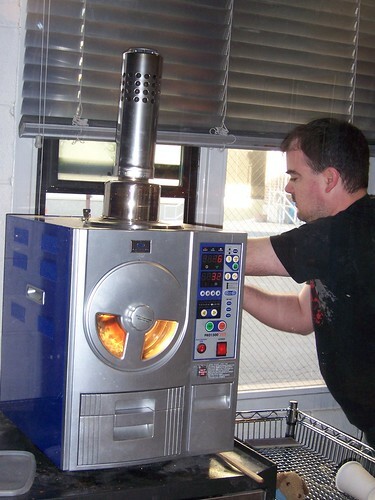 In late 2007, I had the opportunity to install another roaster. Because there is no need for venting, and the technology intrigued me, I knew that the best roaster for my needs would be the one from Fresh Roast Systems. 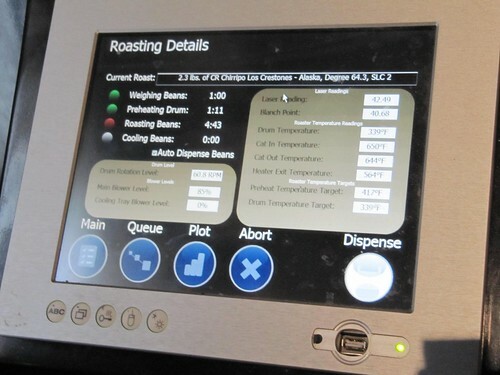 This roaster is precision quantified. 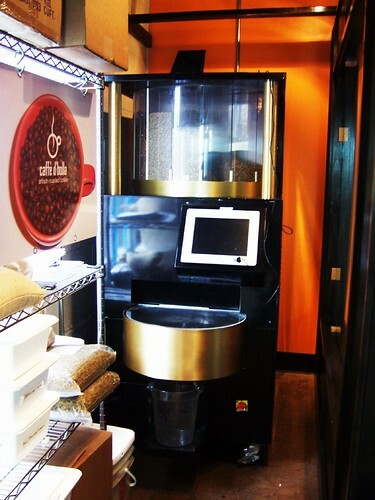 Made primarily for use in large high-end markets where venting is not possible, I was one of the first small roaster-retailers able to use one. And like anything else, it’s a tool. While it’s initially simplistic in it’s operation, it’s nothing but simplistic. I could now roast with much greater precision. Airflow. Drum speed. Drum charge temp. Roast start temp. Roast finish Temp. All comprised within the Roasting Profile to the second. What you have to remove is your ego. Understand that those things that you think you are detecting, you’re not. 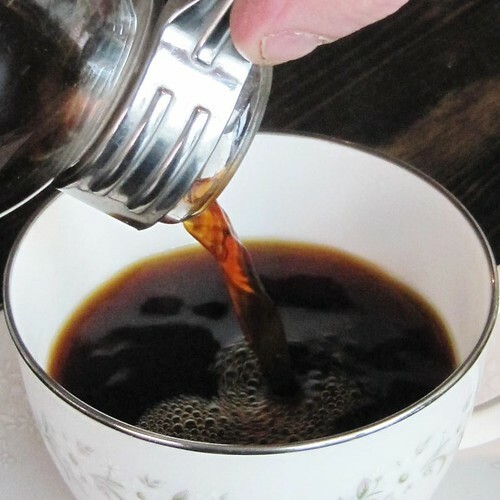 How to blend, how to change a roast, that’s mostly art. The process itself is more science than art. As art it’s more intuition than definition. Understand the capabilities of the tool. Use it to its potential. As a roaster, it involves no less thorough study. But with greater capability for precision there was a need for greater investigation in profiling. 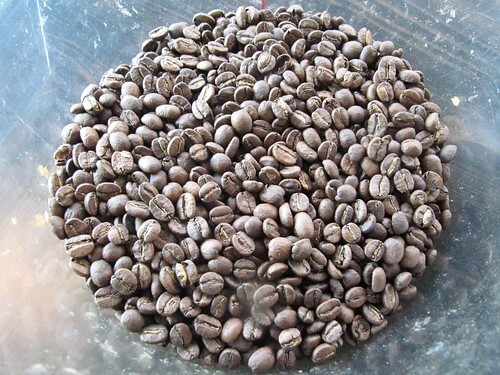 Peaberry, Pacamara, SHB, Medium-soft Brazils, Wet Processed, Dry Processed… and any other permutation and combination of cultivar and processing method. There’s always more to learn, and it’s that continuous thirst for zeroing in on what’s important and discarding the tasteless overly intellectual pablum that keeps me moving forward. In the end, the results are in the cup. And the journey will continue.